UPDATE (2/22): Disney has officially announced the new show. The title has changed slightly from the previously published title on their webpage. The new title is ‘UP! A Great Bird Adventure’. Original story below. “Explorers Meet UP! 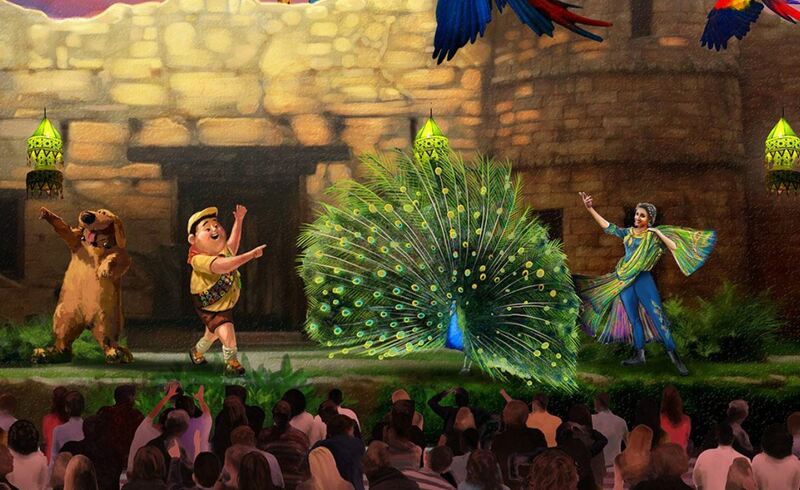 A Great Bird Adventure”, the all-new family friendly show that replaced Flights of Wonder, will debut at Disney’s Animal Kingdom on April 22, 2018. Here’s a look at concept art for the new show. 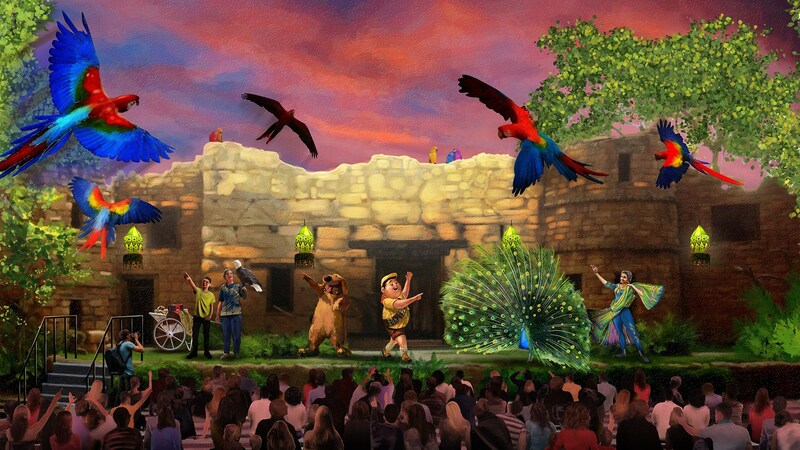 The show will feature Senior Wilderness Explorer Russell and his hairy friend Dug, from the Pixar film “Up”, as they discover species of birds from around the world. According to a Disney Auditions post, the show will also feature a storyteller named Anika. She’s a young woman who lives in the Anandapur Indian village and spends her time as a caretaker of birds in the Caravan aviary. She is the descendent of a Maharani, a free-spirit, and the storyteller in her proud family. Her movement and language are colorful and expressive. She is personable, playful, and at home in nature. Disney’s Animal Kingdom is celebrating its 20th Anniversary on April 22nd, and this is just one of many offerings guests will get to experience in the park on that day. More details on Disney’s Animal Kingdom “Party for the Planet” will be released soon.